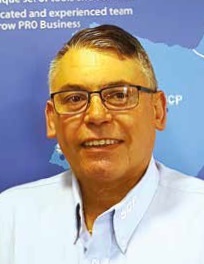 With solid foundations of 20 years’ experience with electrical installations, Trevor Miller was introduced to the pool industry in 1998 by Plastica and now works as a key member of the SCP UK team…. How has water leisure changed since you became involved? The industry has grown over the years and developed from initially procuring within UK and Europe to now being a huge global trade, bringing new and exciting products into the industry. What are your typical daily challenges? My biggest daily work challenges are keeping on top of the ever changing technology aspect of the workload and ensuring customers technical queries are answered in a correct and timely manner and that they are happy with the service we provide. What are your customers’ typical challenges? What have been your stand-out career moments? Having the opportunity to travel the world, meeting new vendors and discovering new ways in which businesses work. I have really enjoy the social scene that accompanied this. Business and pleasure work in my best interest and have giving me many friends across the world. How do you see the industry evolving? Many new innovations will develop as the market reaches out to new countries. Products are becoming more ‘high tech’ and advanced with the use of computer-generated ideas and skills. What is the car tuned to on the way to and from work? I enjoy listening to Radio 2. I love keeping up to date with latest news, weather, traffic reports, and the occasional music quiz. What is the best piece of work advice you have received? If you could invite three people for a dinner party, who would it be and why? First would be Nigella Lawson for her culinary prowess and of course, good looks, Micky Flallagan for his cheeky chappy, cockney sense of humour – a firm family favorite, then Ed Sheeran; self-made, grounded and proud of his achievements, to play a few chords between courses. How do you spend your time out of work? I love spending time with my family, walking the much-loved and very spoilt cocker spaniel, fishing on my fishing boat and taking part in weekly Le Roc modern jive dance classes. My claim to fame was sharing a cookery course and meeting Rick Stein at his cookery school celebrating my 50th birthday in Padstow, North Cornwall.